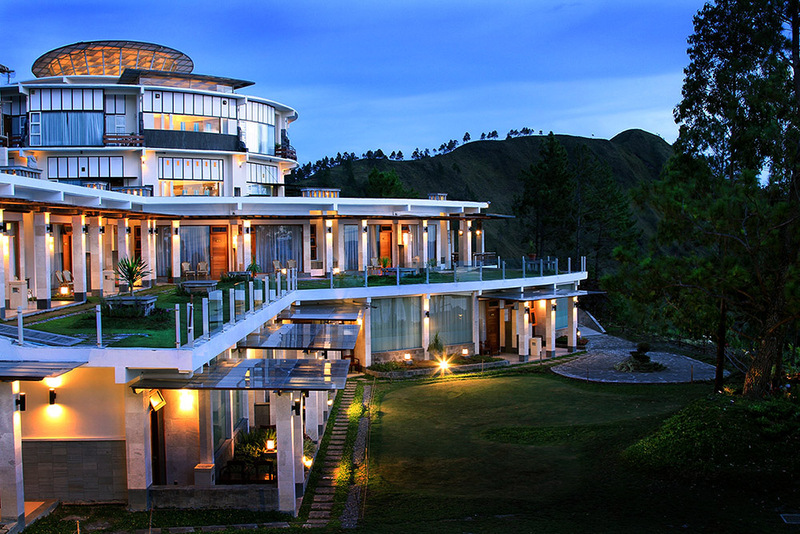 The one and only word to perfectly describe this resort would be a "WOW!". Taman Simalem Resort offers you the correct way to the mesmerizing gigantic Lake Toba with its magnificent surrounding mountainous highlands. The remnants of super volcano eruption 75,000 years ago is well described by the Geopark Silalahi, the epicentrum of Mt. Toba explosion that extinct lives around the globe. It covers slightly over 200 hectares of land, presents a bird-eye view to the entire caldera and breathtaking views of northern part of Lake Toba, with the mountain breeze blows your mind away, truly the luxurious scene of nature for those who live in the modern bustling cities! Enjoy your stay at Taman Simalem Resort, a 4-hour drive from Medan airport through lush tropical rainforest and fertile agriculture areas, plus a "live show" view to the on-going eruption of Mt. Sinabung (since 2011 until now), and witness the traditional Karonese house at Dokan village where several families are living in the harmony in a house without partitions.